In 1935, as America slowly recovered from the Great Depression, people’s spirits were rising. In the heartland, industrialization was driving new opportunities, and workers at the White Eagle Refinery in Augusta, Kansas, who had long lived check-to-check, suddenly had extra dollars in their pockets. It was this development that led a group of men to gather under an elm tree in Augusta to talk about an idea that would help provide refinery employees with a better chance at financial security. 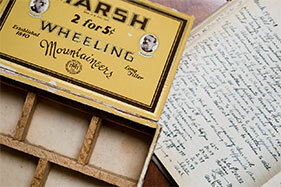 A converted cigar box became a cash box, and the White Eagle Credit Union was born. 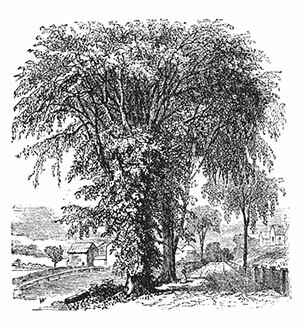 Each payday, under that very same elm tree, workers would line up to deposit their pay — each transaction carefully logged in the credit union’s ledger. Loans were granted as well, allowing members to build better lives for their families with new homes and an enhanced standard of living. By the time the refinery closed its doors in 1983, the credit union was flourishing. So rather than seeing the refinery’s closing as an ending, White Eagle’s leaders saw it as a beginning. 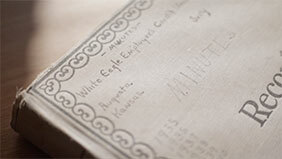 They felt certain that, with its strength and genuine approach to personal service, White Eagle could continue to grow. And it did, opening its membership to the public and expanding its reach to encompass all of Butler County, and later Harvey County, with new branches. White Eagle kept a close eye on technology, too. When the digital age brought new and convenient tools members could use to manage their finances, White Eagle embraced them, offering this new technology to members while delivering the same caring, personal service it had from the very beginning. All told, we’re equally as proud of our roots as we are about the road ahead. Yet our focus remains — as it always has — squarely on our members. Because White Eagle Credit Union is member-driven instead of profit-driven, we understand that our role is to improve members’ lives. And we’re committed to doing just that, every single day.